The CIW’s national Campaign for Fair Food educates consumers on the issue of farm labor exploitation – its causes and solutions – and forges alliances between farmworkers and consumers in an effort to enlist the market power of major corporate buyers to help end that exploitation. Since 2001, farmworkers have partnered with people of faith, students and young people, and communities all over the country to win respect for workers from some of the largest corporations in the world. 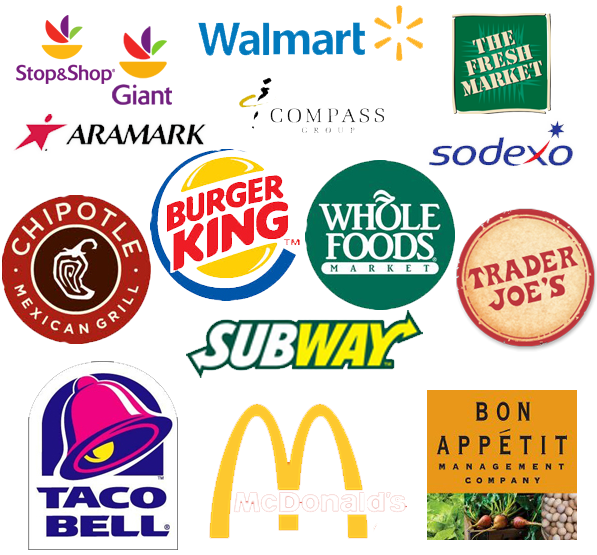 The Campaign has combined creative, on-the-ground actions with cutting edge online organizing to win Fair Food Agreements with fourteen multi-billion dollar food retailers (see the full list below), including Walmart, Ahold USA, McDonald’s, Subway, and Compass Group, establishing more humane farm labor standards and fairer wages for farmworkers in their tomato suppliers’ operations. Alongside farmworkers and 90% of tomato growers, participating buyers are a key part of the Fair Food Program (FFP). Through the Program, these buyers support a wage increase through paying an additional penny per pound and require a human-rights-based Code of Conduct to be implemented on the farms that grow their tomatoes. Not only does the FFP make a substantial difference for workers’ wages, but it transforms the labor environment in Florida’s fields into a workplace rooted in mutual respect and basic dignity for farmworkers. With the four largest fast-food companies (McDonald’s, Yum Brands, Burger King, and Subway) and three largest food service providers (Compass Group, Aramark, and Sodexo) having signed Fair Food agreements with the CIW, the focus now falls squarely on the $550 billion supermarket industry and the final major players of the fast food industry. In addition to Whole Foods and Trader Joe’s, who respectively joined the Program in 2008 and 2012, the CIW signed agreements with Walmart (2014), The Fresh Market (2015) and Ahold USA (2015). It’s time now for the country’s other major grocery chains and final fast food hold-outs to step up and bring their considerable purchasing power to the plate.